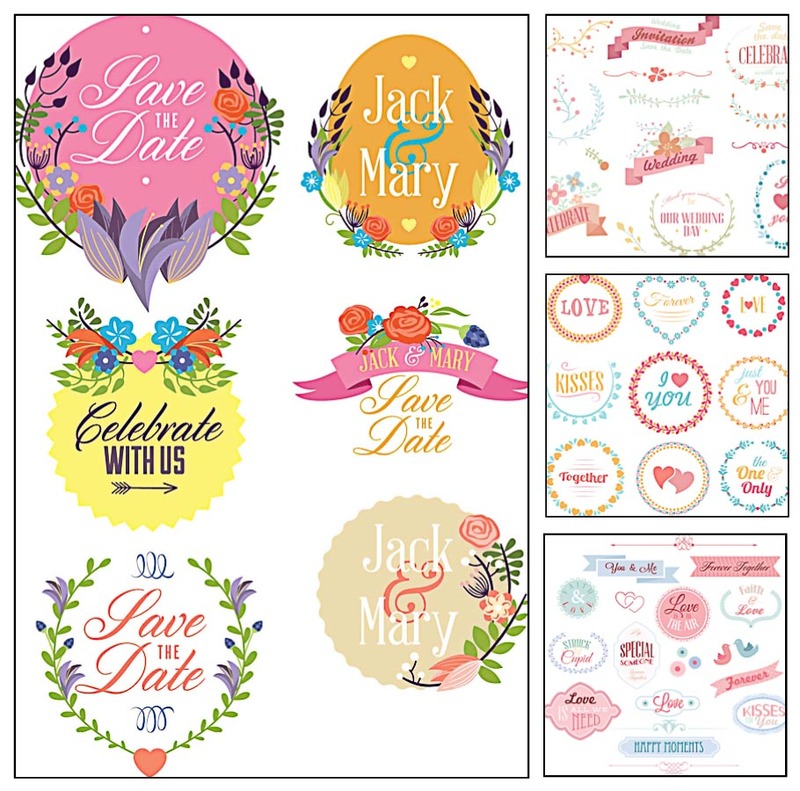 4 sets of vector wedding floral ornaments and stamps for your wedding invitation designs and save the date cards . Free for download. 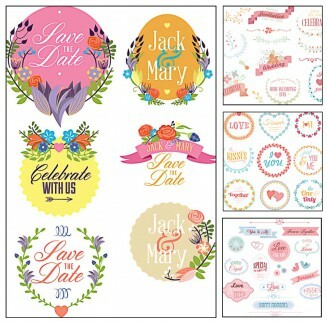 Tags: card, floral vector, laurel, postcard, save the date, wedding invitations, wreath.